I am a Certified Professional Real Estate Inspector committed to providing thorough, detailed and objective home inspections on behalf of you, my client. Unlike many of the people involved in your real estate transaction, I have no stake in the “deal”. My fee is not contingent on the sale, so you can be assured to receive an entirely objective opinion to help you make an informed decision. 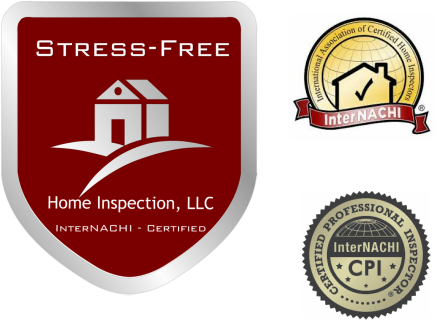 At Stress-Free Home Inspection, LLC, I want to make your home-buying experience as stress-free as possible. I'll use all of my experience, training, education, and common sense to perform the best, most thorough inspection I can. I work for my clients best interests in: educating them about the home they are considering buying. You will know whether or not the homes systems are safe, whether systems are installed like they are supposed to be, by providing a thorough, professional narrative report which includes digital photos. I'll verbalize as I go so if there are any questions I'll try to answer them to give you a better understanding of the home on site as well as in the finished report.